Under Indiana statute Ind. 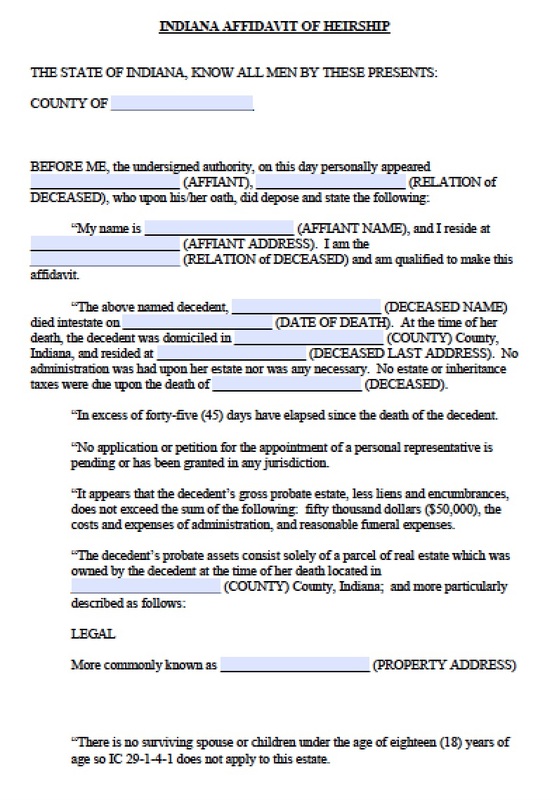 Code § 29-1-8-1, a deceased person’s heirs, whether biological, through marriage, or otherwise, may file one affidavit – the small estate affidavit – to claim the decedent’s estate, as long as the personal property, bank accounts, and real estate combined value less than $50,000. 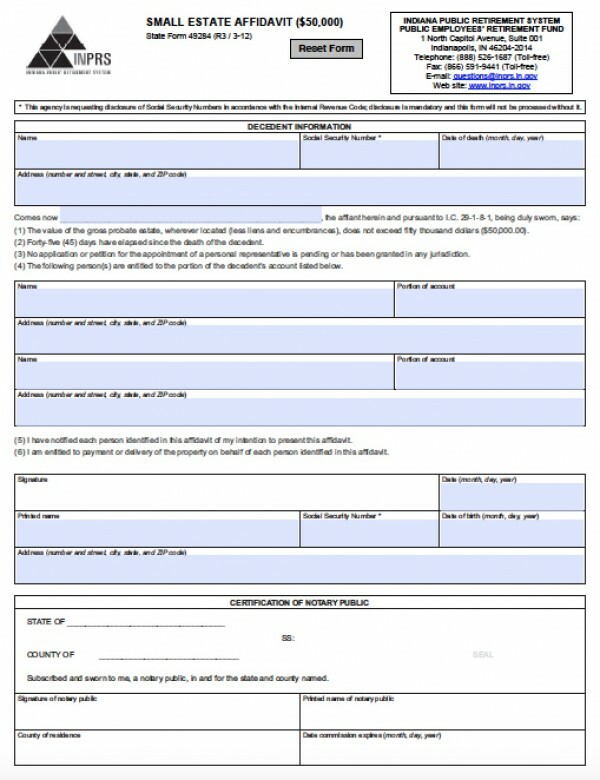 This form radically simplifies the heirship process and allows the family to avoid probate court, which can be time-consuming and expensive.